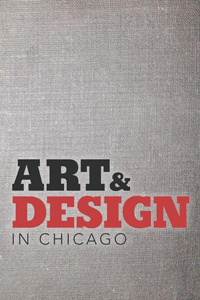 A new four-part series titled Art and Design in Chicago premiered on Friday, October 5, on WTTW with the first episode "If You Build It." The series covers a wide range of Chicago artists and designers. "Rather than try to force some narrative about the meaning of working in the Midwest, or perhaps the way the city’s industrial past fueled its creative class, the series is wisely content to be episodic," reports the Chicago Tribune. The second episode "The Black Metropolis of Art" featured the work of several SAIC alums including Archibald Motley Jr. (SAIC 1918, HON 1980); AfriCOBRA artists Gerald Williams (BFA 1951), Jae Jarrell (SAIC 1959–61), and Wadsworth Jarrell (DIP 1958) who contributed to the Wall of Respect; and Kerry James Marshall (HON 2017) among others. The third episode "Give the Customers What They Want," which highlights the work of designers and commercial artists features SAIC Lecturer Robert Zeni (Visual Communication Design), and airs on Friday, October 26. The final episode of the series "Off the Grid" hosted by muralist, educator, and alum Miguel Aguilar (MA 2011) introduces the work of Gertrude Abercrombie and includes writer, artist, and alum Audrey Niffenegger (BFA 1985) among others, will air on Friday, November 2. Other SAIC community members featured in the series include: Charles White (SAIC 1937–38), Elizabeth Catlett (SAIC 1941, HON 2006), Margaret Burroughs (BA 1942, MA 1948, HON 1987), The Hairy Who? artists Gladys Nilsson (BFA 1962, HON 2016), Jim Nutt (BFA 1967, HON 2016), Art Green (BFA 1965, HON 2016), Karl Wirsum (BFA 1962, HON 2016), Suellen Rocca (BFA 1964, HON 2016), and James Falconer (BFA 1965, HON 2016), Richard Hunt (BA 1957, HON 1979), Barbara Jones-Hogu (BFA 1964), William Edouard Scott (SAIC 1909), Nancy Spero (BFA 1949), and Dread Scott (BFA 1989) among others. Read more about the series in the Tribune's article here.